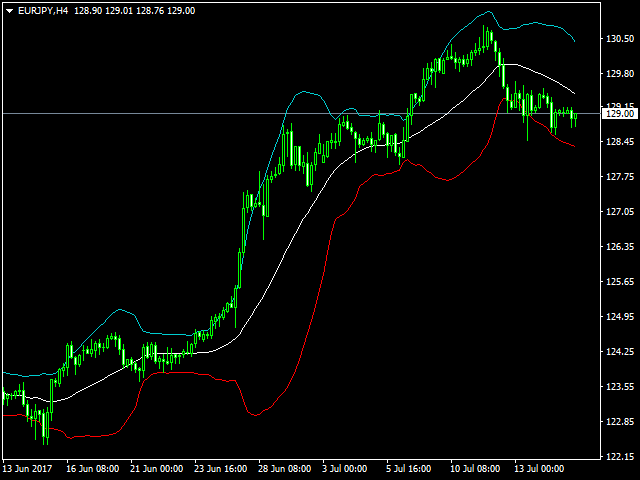 Bollinger Bands Color is different from the conventional indicator by an additional set of parameters. 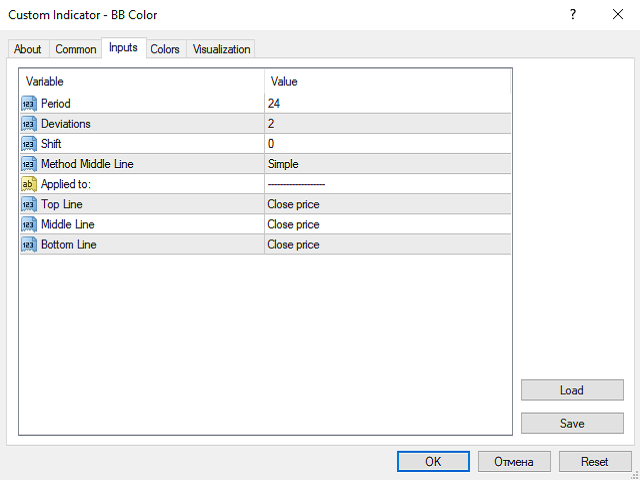 Such parameters as color and applied price can be selected in the properties window for each line separately. 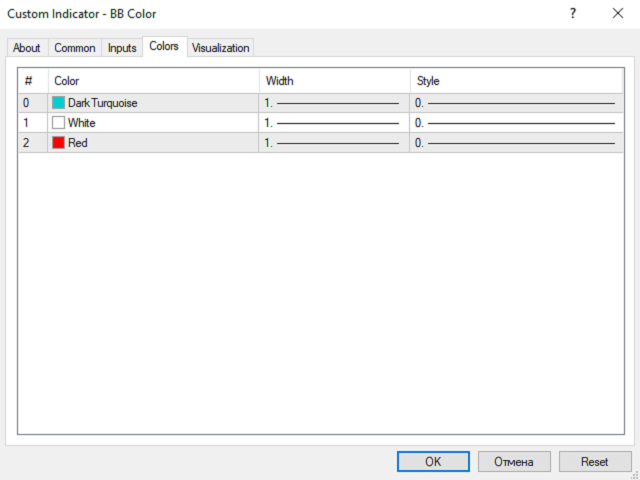 Also, you can select the averaging method for the middle line. Bottom Line – applied price for the lower line. Brilliant indicator which is a key part of my strategy. Thanks for providing.